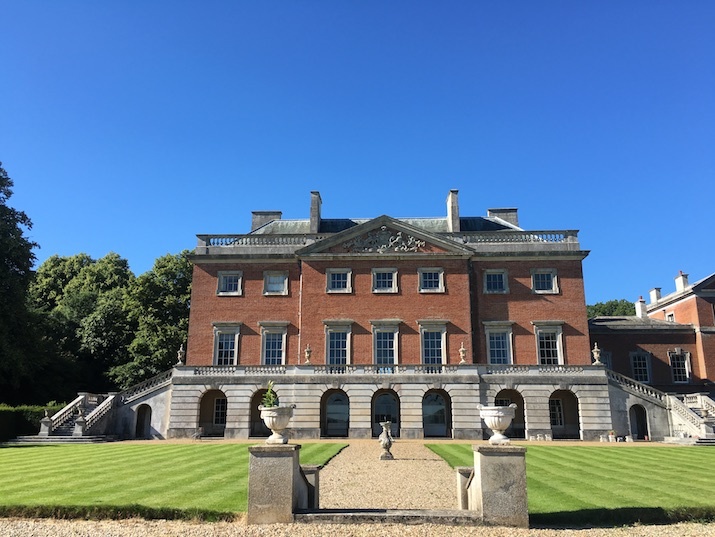 Wolterton Hall in North Norfolk is a Grade I listed Palladian mansion, built by Horatio Walpole in 1741 just after his brother, Britain’s first Prime Minister, Sir Robert Walpole began building Houghton Hall, Kings Lynn in the 1720s. Horatio was godfather to Vice Admiral Horatio Lord Nelson, who was named after him and became a frequent visitor to Wolterton, with his own private rooms. The 150 acres of Wolterton Park nestles within the 500 acre estate on the Bure Valley, some ten miles from the coast. 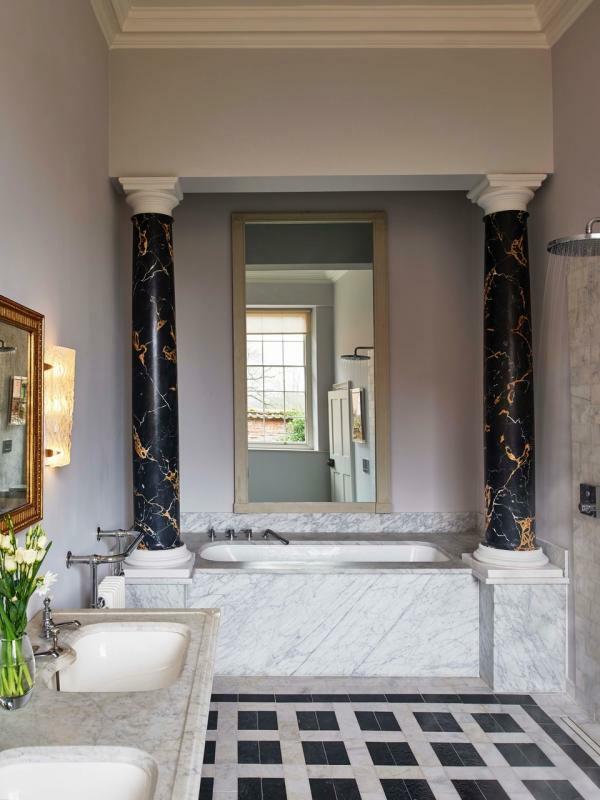 The mansion was bought from the Walpole family by award-winning interior designers Peter Sheppard and Keith Day in 2016, and is under meticulous restoration by the design duo. The Operations Director, Laura Foster (formerly Operations Manager at Chaucer Barn) manages the bookings and running of the hall and oversees the implementation of each design and building phase. Having completed the first phase of restoration, the hall now boasts four beautifully designed luxury cottages including the Grade II East Lodge, The East Wing and The Treasury to accommodate paying guests. 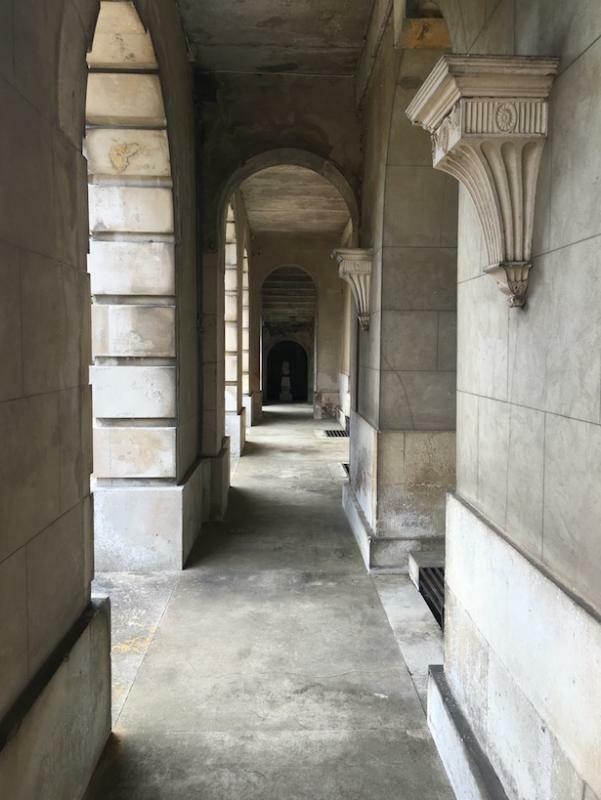 The second phase of restoration is due to complete by the end of 2019, when the house and outbuildings will be available to book for exclusive hire. Having left London for the country in 2011, Peter and Keith bought the medieval estate Hales Hall, the largest surviving Tudor brick barn in Britain (178 feet) which they spent four years painstakingly restoring, resulting in them winning the Campaign Award from The Protection for Royal England. Peter thought that he and Keith would remain at Hales Hall, but fate had an alternative plan. Having advised his estate agent some years previously that if he should ever ‘find a house with great architectural consequence,’ he must let Peter know. The agent eventually responded with this in mind, phoning to say ‘I’ve got the house for you.’ The house was Wolterton. 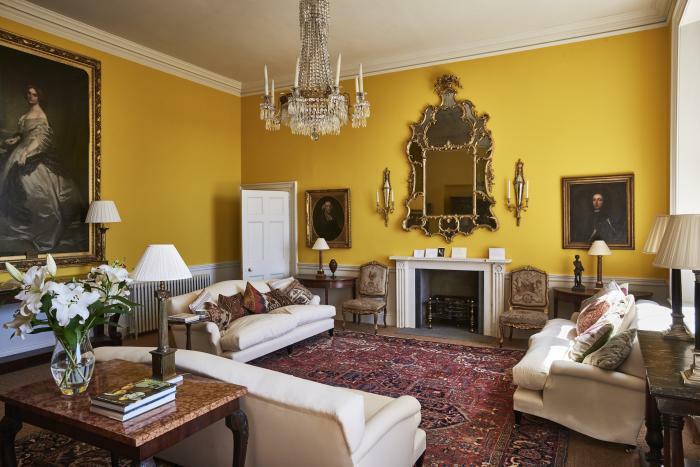 The Walpole family had wanted the hall to remain protected, and had considered giving it to English Heritage or The National Trust, thus selling it with some of its beloved heirloom contents to designers and restoration specialists Peter and Keith was the next best thing. There is, of course, grandness everywhere, but also homely touches and on the walls of secret corridors there are paintings and illustrations sourced from the local auction. Pieces from Smallbone kitchens (Peter worked on these designs for over 30 years) lend themselves perfectly to the huge space and Venetian light fixtures flatter the walls. There are medieval busts and statues dotted about and gorgeously decadent chandeliers, dripping with opulence. Each room tells its own story and each doorway welcomes you into an intimate world within the wider environment of the hall. The Walpole portraits are housed together in one room and all look down upon visitors with nonchalance. The library is a deep chocolate brown which matches the walnut panels and doors and is sympathetic towards the hundreds of Walpole antique gold-green books that were inherited with the hall. The huge tapestries hanging in the saloon were given to Horatio by Cardinal Fleury during the early 18th Century. Fleury was Louis 14th’s Foreign Minister, a relationship which resulted in peace in Europe with France, and in which Britain’s prosperity is supposed to have been built. These tapestries, designed to be hung in the most prominent and grandest of rooms, offer a touch of humour and bawdiness to those admiring them; one has a small pickpocket at its centre and the other depicts a man relieving himself. In the saloon are also two early 18th century embroidered pale pink silk day beds designed by James Wyatt, acquired by Laura from Powderham Castle in Devon. In front of the huge Marble Hall window (originally the main door) is a large ceramic fishbowl vase in which it is said every Walpole was christened. Outside, Peter and Keith are growing a wild flower meadow and have cleared the parkland which was overgrown with 30 feet rhododendrons and azaleas. 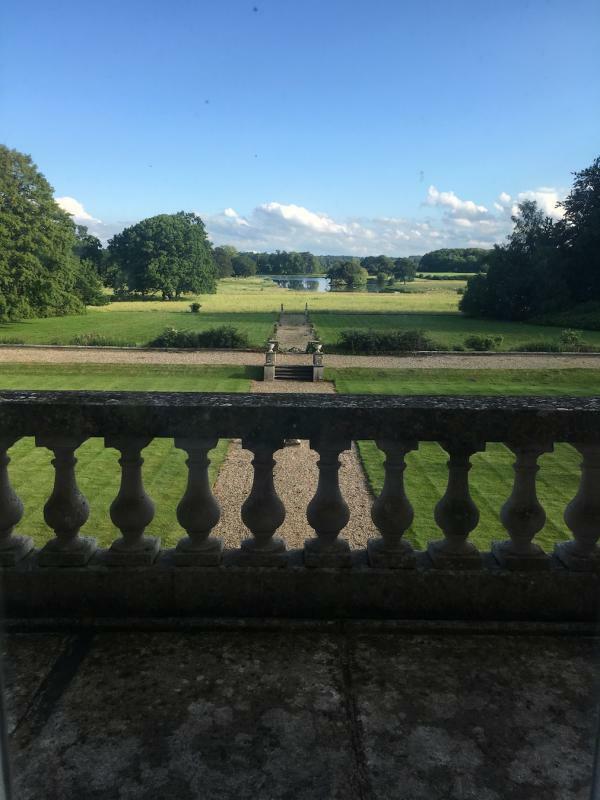 The views are now much as they might have been in the 18th century, with big open skies and parkland, and the glittering lake beyond. The plans for the hall are for Peter and Keith to keep it as their home and retain its former glory, but with the very able support of dedicated and passionate Laura at the helm, to have a steady turn-over of business eventually that the hall becomes self-financing. The hall will hold the occasional fete and charity event but the general public will visit by invitation only. ‘I’m an eternal optimist, we’ve had a plan for the house which while we are spending lots on it now, in the future we will be able to rent out the rooms and it will all be of a very good quality. The general condition of the house is good, but the heating, wiring and decorating are the three things to see to within phase two.’ Going on the amazing results so far, it looks as though Peter and Keith will be on track with their plans. Peter has used the same red wool damask fabric on the state dining room walls that are used in the restoration of Strawberry Hill, which was also built by Horatio Walpole. The walled kitchen garden is the biggest of its kind in Norfolk. There are 12 bedrooms, the state bedroom will be the Principal guest’s room and will have an ensuite marble bathroom. The outside stairs were removed during the 1820s and the second floor was ruined by a fire in 1952, the embers of which are still visible within the interior woodwork. All the doors are made of walnut and were a gift from Queen Caroline to Horatio. There are six tapestries in all; three here at three at Blickling. The balcony is longer than the one at Buckingham Palace. Click here if you would like to book an Invitation to View Wolterton Hall or speak to Laura about booking a stay.